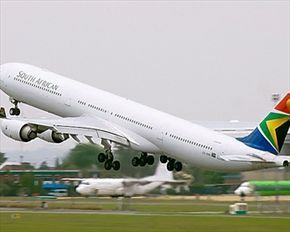 Flights that leave Johannesburg that are flying to north America for instance will need to stop on the way so that they can refuel on the other hand flights that are coming into Johannesburg that leave from an area that has a lower altitude are able to fuel the plane enough so that they are able to reach Johannesburg nonstop. Also the OR Tambo International Airport is one of the few airports that have nonstop flights to all of the six inhabited continents. The runways at the OR Tambo airport consist of two parallel north south runways that are crossed by a disused runway. The western runway is over 4400 metres long which makes it one of the longest runways at an international airport in the world. The reason for such a long runway is because an aircraft that is fully loaded needs a long runway to be able to take off at the altitude experienced at the OR Tambo airport. When OR Tambo airport goes through busy times all the outbound flights use the western runway for take-off and the eastern runway is used for all the inbound flights for landing. The OR Tambo airport is also the grounds for the South African airways Museum. The South African Airways Museum and is full of memorabilia about the airline and was created by two fans and was a temporary location until they could secure a room in the Jan Smuts buildings in 1987. Since then the Rand Airport is now the home for the museum. 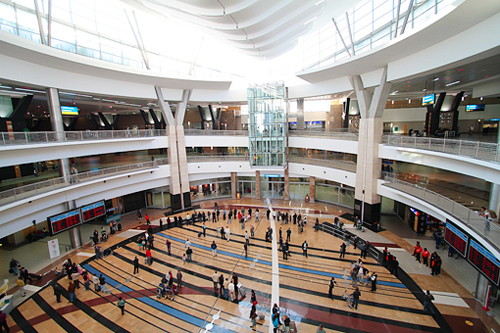 The OR Tambo airport serves as the international airport in South Africa and handles frequent flights to all over the world as well as to various areas in South Africa.